Here some very good but rare experimental musics. The aim of this page is to share those musics and to find the sources of the unkwown tracks. The unknown tracks cames from a radio from Paris (France) called 'Epsilonia', produced and presented by a guy called Zaniet'. The cd that closes the trilogy, Bleu, even more serene, allows a light breeze to blow about, saying "everything is here", before you, like some evidence. As was the case with the previous recordings, amplified natural sounds, reduced to their essence, are unveiled and come to life with a heat that is almost more real than reality, as though to this day we had never been present, tuned in to the world, ETANT DONN�S rediscover the Face Vert and unveil, in broad daylight, the atomic energy contained in every bit of the universe. This is the first work of a trilogy inspired by psychoanalytic thought. According to Dhomont, this work proposes a meeting of the imagination ('psychology of depths') with the mental images produced by the acousmatic treatment of sounds. Dhomont uses texts by psychiatrist - psychoanalyst Ronald D. Laing (among other authors) to describe the journey of a schizophrenic mind from the 'incarcerated self' to the catatonic state. Dhomont shows his compositional craftsmanship by keeping the pace of the sections masterly balanced. Sound objects are carefully designed to keep sources' identities hidden. When these can be identified, they are meant to fulfill a specific formal function. For example, after the listener has been exposed to several minutes of abstract sound, the sudden appearance of a talking crowd (Inner Citadel, at 1:10) provides a striking contrast. The voice of the narrator is usually kept as a layer separate from the musical material. 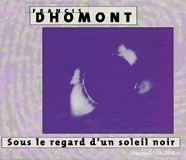 Keeping in mind the year of its realization and the concepts underlying its formal plan, Sous le regard d'un soleil noir stands as a landmark of acousmatic composition. The edition by empreintes DIGITALes includes a 52-page English / French booklet containing the text and various comments on the composer and the piece. Definitely worth having! 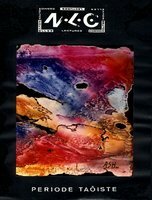 19m31s - 2005 - ICR / Klanggalerie - Edition of 200 copies in plastic sleeve. 150 copies given away to each ticket holder at the VIenna May 2005 gig with personalised ticket. 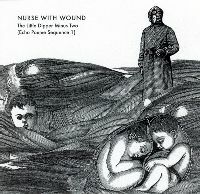 This album shows an all new musical approach for Nurse with Wound. Layers of female vocals are arranged in otherworldly patterns, and it's one of the sweetest, most mysterious soundscapes you've ever heard. It's painted entirely of delicate layers of female vocals in French. 52m28s - 1991 - E.D.T. Tabou est une œuvre int�ressante du point de vue du rythme et une attention toute particuli�re est port�e � la d�finition spatiale de ses �l�ments. Au nombre de ces derniers, le discours et ses composantes ont �t� fractur�s cr�ant ainsi des formules rythmiques complexes qui se r�pondent sans arr�t les unes les autres le long d’un plan horizontal. Certaines des composantes du discours sont incorpor�es dans un ensemble de sonorit�s subtiles et r�p�t�es, de nature �l�giaque et qui apparaissent et disparaissent tour � tour. Interruptions, faux d�parts et digressions contrastent avec des groupements stables. Cette impr�visibilit� rythmique est rendue de fa�on �l�gante tout au long de l’enregistrement. On ressent comme un mauvais pressentiment au sens dramatique du terme. Le suspense culmine mais il n’y a pas de d�nouement. Le cadre change lorqu’on approche de la conclusion : c’est un � gros plan � sur un �v�nement et son protagoniste qui convie peut-�tre l’auditeur � une forme de rituel furtif. Mara Zibens in CEC, Contact! Completely restored original recordings. 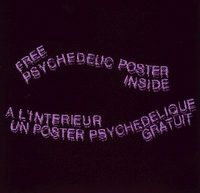 A soundtrack accompaniment for the installation that opened at the Mind Excursion Center in Montreal July 8, 1968; installation and soundtrack by INTERSYSTEMS (John Mills-Cockell, Blake Parker, Michael Hayden, Dik Zander). Intersystems were a completely freaked Canadian ensemble from the late 60s, who privately issued this as an LP in 1968. The recordings consists of intense, primitive electronics backings (that approach white noise frequencies) while a narrator (Blake Parker) appears to tell the story of a little plastic boy & girl named Gordie and Renee, as they experience the modern psychedelic life. The story is surrealistically tapped, ultra weirdly detailed and the whole experience is like nothing you've ever heard; totally amazing record. On The Technology of Tears, Fred Frith continues his exploration of world dance music he began on Gravity and Speechless, this time supplementing traditional instrumentation with digital technology to generate patterns, pulses and noise. Samples are used throughout, accompanied by horns, sporadic percussion and wordless vocals. The album is a mix of musique concr�te, folk music and improvisation. 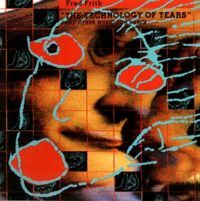 On the first part of the Technology of Tears suite Frith experiments with Henry Kaiser's newly acquired synclavier, at the time the state-of-the-art sampling and processing technology. On parts two and three of the suite Frith plays mostly �low-grade� instruments with added samples by turntablist Christian Marclay. Jigsaw is a collection of dozens of musical cells, �each recorded separately in increments of between 3 and 12 measures, all at the same tempo, and in the same key�. The intention was that the modules could be assembled in any order to create the final piece. The reason for this construction was that Rosalind Newman had requested that many changes be made to the Technology suite; with Jigsaw she could arrange the pieces how she whished. Ironically, she accepted the Frith's demonstration of what was possible as the final piece. All music described the Technology of Tears suite as �...unrelenting slices of hard-edged sounds over a pulse...�, Jigsaw as �... patterns with constantly shifting accents and sub-divisions...�, and Propaganda as �...a series of brilliantly evocative soundpieces with electronics, guitar, and sound effects...�.